A resilient dietary strategy balancing reliable wetland plants and "riskier" seasonal grasses may have driven adoption of the sedentary lifestyle which later became typical of Neolithic humans, according to a study published October 19, 2016 in the open-access journal PLOS ONE by Monica Ramsey from the University of Toronto, Canada, and colleagues. Neolithization – the development of human adaptations, such as a sedentary lifestyle, which later characterized Neolithic life – was previously thought to have been facilitated by a dietary shift to cereals and grains around 23,000 years ago, beginning the long and supposedly linear transition to agriculture. In the present study, Ramsey and colleagues challenge conventional thinking about Neolithization pathways by analyzing minute fossilized plant particles known as phytoliths in 31 samples from the c.19,000-year-old pre-Neolithic site of Kharaneh IV in the Azraq Basin, Jordan, to identify the plants used by inhabitants at the time. 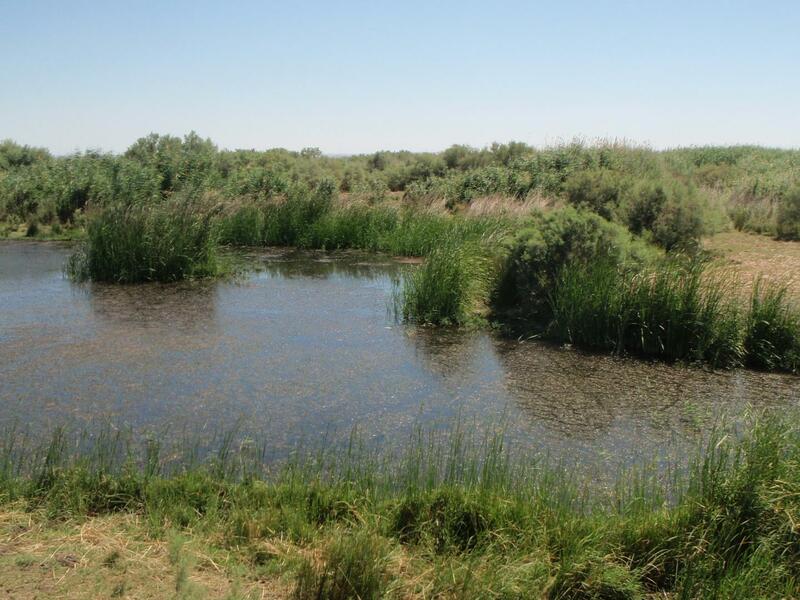 The researchers found predominant evidence of wetland plant use, notably reeds and sedges, considered to be "low-risk" dietary resource due to their reliable year-round availability. Some evidence of steppe/parkland grasses and wild cereal use, "higher-risk" seasonal resources, was also found. The authors posit that the inhabitants of this region adopted a diet which supplemented reliable wetland plant staples with riskier grasses and wild cereals when available, forming a resilient plant-use strategy that may have enabled inhabitants to settle in one area for longer than previously possible. While further phytolith and starch analysis of samples is required, the authors suggest that this pre-Neolithic strategy of combining risky and reliable plant resources may have facilitated a sedentary lifestyle and so driven Neolithization via an unexpected pathway. "At Kharaneh IV, our microbotanical evidence suggests that increasingly settled occupation – a key component of later 'Neolithic' lifestyles – was not the result of wild grass and cereal use," says Ramsey. "Instead, some 20,000 years ago, hunter-gatherer's at this site were 'hedging their bets' on the year-round larder of the wetland." Funding: This research was supported by a Canadian Social Science and Humanities Research Council (SSHRC) Ph.D. fellowship [award number 752-2011-1728], a National Science Foundation SBE DDRIG [grant number BCS-1418462], and two Council for British Research in the Levant (CBRL) travel grants (2011, 2012) awarded to M.N. Ramsey. This manuscript was written during the tenure of M.N. Ramsey's Canadian SSHRC Post-doctoral Fellowship [award number 756-2015-0408]. The fieldwork was entirely funded by the Arts and Humanities Research Council (AHRC) (AH/E009484/1).